Back in stock! Now at a special price - while stocks last! 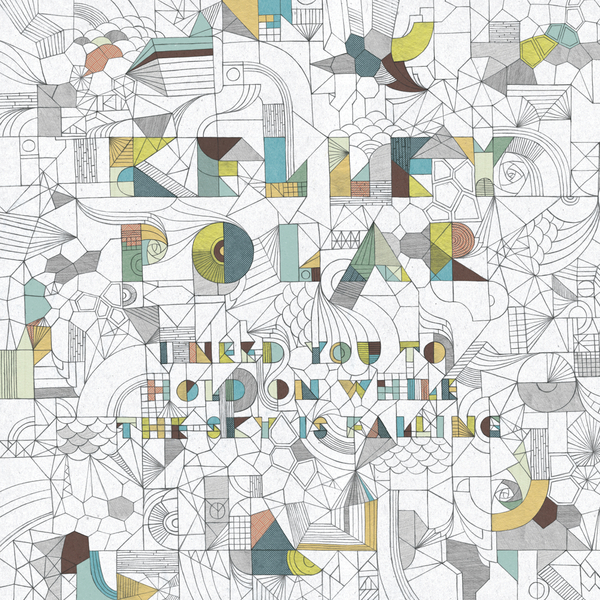 We adore Kelly Polar, his fabulous "Love Songs Of The Hanging Gardens" wowed us with its nostalgic aesthetic and bittersweet discoid production, something that's closely adhered to with this second album "I Need You To Hold On While The Sky Is Falling". Polar sounds intent on dragging his brand of star gazing disco into a realm of new age rants, harpsichord and grand old string arrangements, usually all at the same time. Ushered in by a vocoded waffle about mountains and oceans, Polar's disco dream vision begins with 'A Feeling Of The All-Thing', as if late sixties hippydom had crossed over into the nascent club music of the seventies and had been preserved in one man's head. Polar knows how to craft a great pop song too, as demonstrated by the boy-girl vocal piece 'Entropy Reigns (In The Celestial City)', which like much of the album benefits greatly from an expanded sound palette that extends far beyond the usual confines of synthesis. The inventive use of string arrangements is one of this record's most valuable attributes, and when these sequences do crop up, it's never as a tokenistic gesture towards quick-fix grandeur, but rather as means of breaking free from the rigidity of electronic production. But then, even in tracks comprised almost exclusively of synthesizer, like the grand finale 'In Paradisum', it's all layered in such a fashion as to sound far more psychedelic and intricate than the normal parameters of electronica. If you can handle the pseudo-cosmic hyperbole that lines this album, you'll find a lot to love in its eccentricities. Awesome.